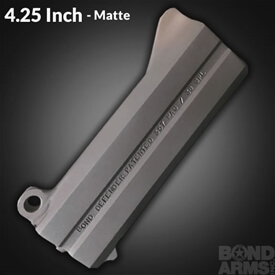 Bond Arms Accessory Barrels will help you customize your firearm to fit your needs. Ranging from 2.5" - 6" and in over 37 caliber combinations these gun barrels will transform your gun in a matter of seconds. 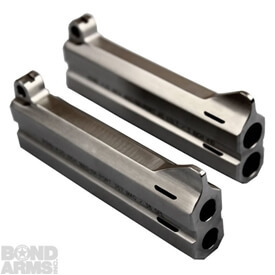 So whether you are looking to improve the conceal-ability of your Bond Arms Derringer, give your derringer a different look or expand the caliber capability of your favorite conceal and carry firearm, you can be sure this Bond Arms replacement barrel will perform with the style and reliability you expect from Bond Arms. 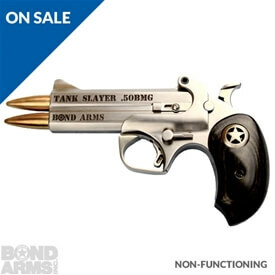 ALL Barrels Fit ALL Models of Bond Arms Derringers*! *Barrel Limitations: According to state laws we cannot ship barrels to Massachusetts. In the following areas we cannot ship barrels directly to your house, You must order through a dealer: New York, New Jersey, Washington DC, Chicago. 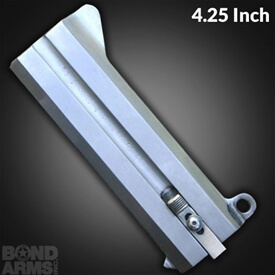 Customers in Maryland are restricted to certain barrels for certain Bond Arms Models, we will ship barrels to your house, but you are responsible for following the laws (click here for Maryland guidelines on which barrels you can purchase).